Q. Thank you, Mr. President. As you well know, there are four Americans in Iran -- three held on trumped-up charges, according to your administration; one, whereabouts unknown. Can you tell the country, sir, why you are content, with all the fanfare around this deal, to leave the conscience of this nation and the strength of this nation unaccounted for in relation to these four Americans? And last week, the Chairman of the Joint Chiefs of Staff said, under no circumstances should there be any relief for Iran in terms of ballistic missiles or conventional weapons. It is perceived that that was a last-minute capitulation in these negotiations. Many in the Pentagon feel you’ve left the Chairman of the Joint Chiefs of Staff hung out to dry. Could you comment? THE PRESIDENT: I got to give you credit, Major, for how you craft those questions. First - The notion that I am content as I celebrate with American citizens languishing in Iranian jails (5-second pause while Obama composes himsself. — Ed.) -- Major, that’s nonsense, and you should know better. I’ve met with the families of some of those folks. Nobody is content. And our diplomats and our teams are working diligently to try to get them out. Now, if the question is why we did not tie the negotiations to their release, think about the logic that that creates. Suddenly, Iran realizes, you know what, maybe we can get additional concessions out of the Americans by holding these individuals. It makes it much more difficult for us to walk away if Iran somehow thinks that a nuclear deal is dependent in some fashion on the nuclear deal. And, by the way, if we had walked away from the nuclear deal, we’d still be pushing them just as hard to get these folks out. That’s why those issues are not connected. But we are working every single day to try to get them out, and won’t stop until they’re out and rejoined with their families. With respect to the Chairman’s testimony, to some degree I already answered this with Carol. We are not taking the pressure off Iran with respect to arms and with respect to ballistic missiles. As I just explained, not only do we keep in place for five years the arms embargo under this particular new U.N. resolution, not only do we maintain the eight years on the ballistic missiles under this particular U.N. resolution, but we have a host of other multilateral and unilateral authorities that allow us to take action where we see Iran engaged in those activities whether it’s six years from now or 10 years from now. So we have not lost those legal authorities. And in fact, part of my pitch to the GCC countries, as well as to Prime Minister Netanyahu, is we should do a better job making sure that Iran is not engaged in sending arms to organizations like Hezbollah. And as I just indicated, that means improving our intelligence capacity and our interdiction capacity with our partners. If "nobody is content," then why are "international negotiators celebrating a deal with Iran"? If Obama isn't content, why is he clearly satisfied with himself for having a "deal" with a country which is still holding American citizens hostage? The President's attempted explanation is hogwash. As long as Iran holds hostages, it has leverage. It still has hostages, so it still has leverage. 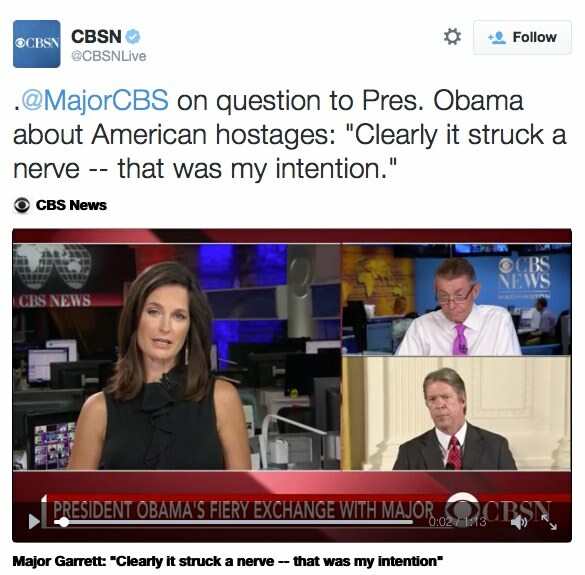 President Obama has now admitted that they didn't even try to bring up the hostages during the negotiations. Because of that, we now know, willingly or not, that anyone who has told the hostages' families and other loved ones that they were "doing everything we can" to free them has been lying. ... As a result of this deal, Iran stands to reap a potential windfall of billions of dollars that has been held up by international sanctions designed to cripple the Iranian economy and bring Tehran to the negotiating table. Even if most of this money is channeled to Iran’s domestic economy, the bounty will nevertheless help resuscitate the Iran threat network—a nefarious web of insurgent, criminal and terrorist allies—and revitalize Iranian meddling worldwide. Iranian sponsorship of terrorist organizations cannot be divorced from the negotiations because the sanctions that will be lifted provide new sources of funding to reinforce the Iran threat network. The people who believe in "Death to America!" will have more resources to try to achieve it. It is wholly unrealistic to expect intelligence efforts to track all of this. It would have been far better to prevent it from arising. The deal clearly does not prevent that. A reporter confronting a Republican or conservative president in this manner would be the toast of the town. Garrett is, at least at the moment, a pariah. DANA BASH: I just wanted to add, you've been a White House reporter. I've been a White House reporter. You know what it's like to stand up and ask the president a question. And you do want to be tough. But there’s a fine line, especialy maybe (unintelligible) standing in the East Room, between asking a tough question and maybe crossing that line a little bit and being disrespectful, so I think that that happened here. CNN's Don Lemon added, imitating what he suspected Obama was really thinking in response to the CBS News reporter's question, "Well, let me tell you basically what [Obama] was saying [in his response to Garrett], which was, 'Man, look here, are you out of your damn mind.'" "That's exactly what the tone was. To put the question in that form, I was at home watching, going 'Wait a minute,'" Lemon added. "It was a little out of school." Other weighing in with faux outrage can be found at Daily Kos and Politics USA, among many others. Garrett's questioning during this and other interviews around that time in 2008 relating to the Rev. Jeremiah Wright controversy was surgical, and their results should have been damning. That they weren't says a lot more about Garrett's journalistic peers, whose obsession at the time was pretending that Wright was irrelevant, than it does about him. Don't think for a minute that Barack Obama has forgotten any of this. The intensity of his response betrays how he hasn't.